Jeffrey Millar Former Lakin Law Firm attorney Richard Burke has grabbed for control of a Madison County class action that the Lakins have carried on for almost four years with a corpse representing the class. Kim Kirn It seems to me that we like to fight. They're forever the two judges who went on the Sunday afternoon football bender. They drank bloody marys and cans of Bud Light in the car. One of them was driving and got into an accident. Rex Carr Four days before Madison County Circuit Judge Barbara Crowder would have started trial on a Rex Carr negligence claim against Alton Memorial Hospital, his client and the hospital settled. A Madison County jury awarded a fraction of damages sought in a medical malpractice claim against area obstetrician Tina Gingrich, M.D. Tom Lakin would prefer not to defend himself in a Madison County civil suit while he defends himself against criminal charges. A 10-count, $500,000 lawsuit was filed against the estate of Myron Schanuel, who last year caused a crash that killed him and five members of the same family on Route 177 in Mascoutah. A Michigan man who suffers from mesothelioma filed an asbestos suit against 51 defendants in Madison County Circuit Court Oct. 2, alleging he was exposed to airborne asbestos fibers from his father's clothing. Lisa Boerm filed a dram shop suit against a golf course owned by the village of Okawville and the owner of the Blue Room tavern in New Minden claiming their alleged negligence caused her mother to perish in a deadly wreck last year on Route 177 near Mascoutah. A class action lawsuit alleging Fidelity Management & Research Co. and FMR Co. breached "best execution" obligations by steering transactions to brokers who lavished them with "unlawful goodies," was refiled in St. Clair County Circuit Court Sept. 27. 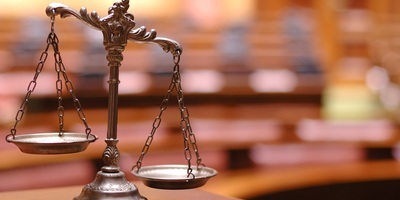 Gary Peel United States District Judge William Stiehl has appointed East Alton attorney Daniel R. Schattnik to represent Gary Peel in his argument that three appointed federal public defenders have been ineffective. An iron worker who fell approximately 25 feet from a roof deck at the Belleville Wal-Mart Supercenter under construction has filed suit against the project's manager Brinkmann Constructors and subcontractor Bel-O Sales and Services. Shiloh School District 85 removed a St. Clair County civil suit on Oct. 3, arguing it belongs in federal court because the matter deals with alleged violations of the Individuals with Disabilities Education Act and the Americans with Disabilities Act. St. Louis Tan Co. and Gold's Gym are being sued by a woman whose daughter was injured two years ago in a children's playroom at the O'Fallon location.